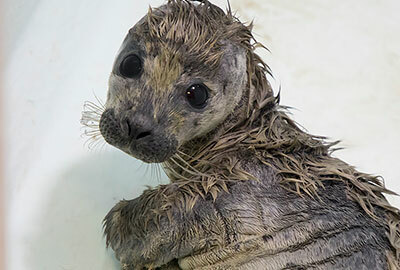 Rumba is the first 2018 Common Seal Pup. He was rescued on 6th May 2018 weighing only 7kgs. 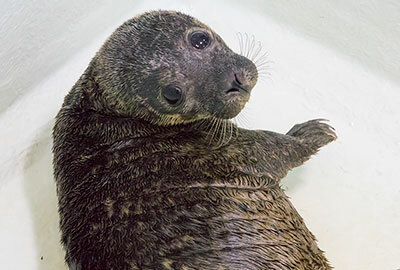 Rumba was born prematurely as he still has his white coat, unlike Grey Seals which are born in the winter, Common Seal Pups would normally have shed this white fur before they are born. 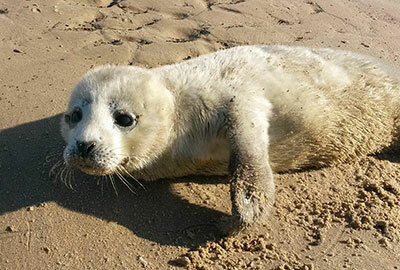 Common Seals do not usually start having their pups until June so Rumba was very early! This photo left of Rumba was taken on 12th May 2018, Click here to see a larger version. 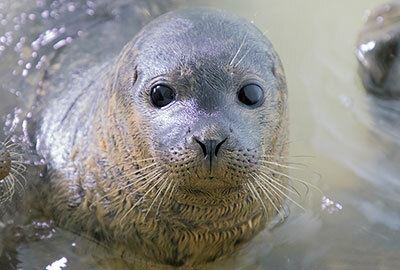 Update - 28th May 2018 : Rumba is already progressing well and is eating whole fish with a little help and getting used to spending some time in the water. He still has a long way to go before he can be released back into the wild but the Animal Care Team are hopefull he will continue to do well. Click here to see larger version this photo and a further one of Rumba taken on 26th May 2018. Update - 23rd June 2018 : Rumba currently weighs 14.5kgs. He is so cute. Click here to see larger version this photo of Rumba taken on 17th June 2018. 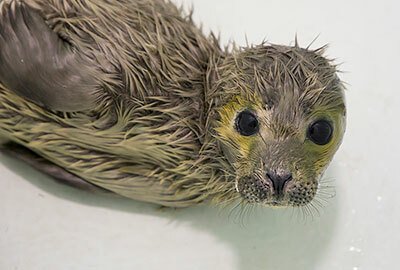 Update - 5th August 2018 : Rumba is now in the hospital´s swim pool with three other rescued seal pups, Agadoo, Macarena and Freddie. He currently weighs 21.5kgs. His flipper tag ID number is 446 (green). Click here to see larger version this photo of Rumba taken on 4th August 2018. Update - 30th August 2018 : Rumba was returned to the wild on 23rd August 2018.